Key West is famously only 90 miles from Cuba, and the two islands share more than just geographical proximity. Cuban exiles have found a safe haven in Key West since the late 1800s when they first fought for independence from Spain. The San Carlos Institute on Duval Street, founded in 1871 and visited by beloved poet and revolutionary Jose Martí, still stands today as a cultural center and reminder of Key West’s relationship with the Cuban diaspora. Of course, one of the best ways to get to the heart of a culture is through its cuisine. 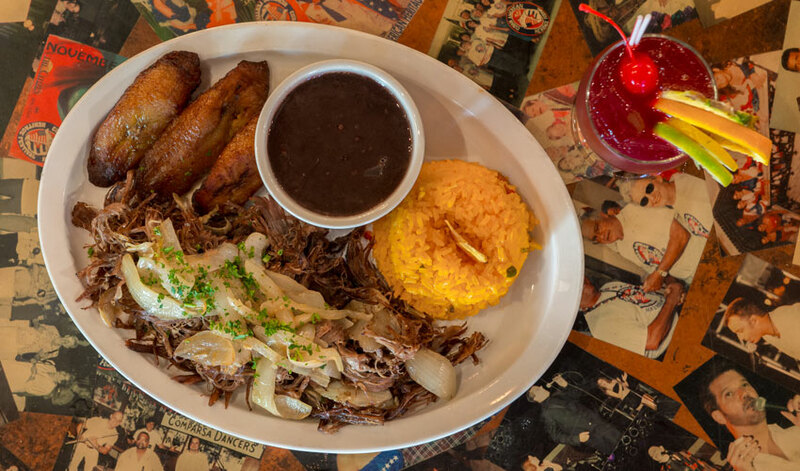 And this is especially easy (and enjoyable) with rich and flavorful Cuban food whose influence is felt in the most subtle ways throughout Key West. 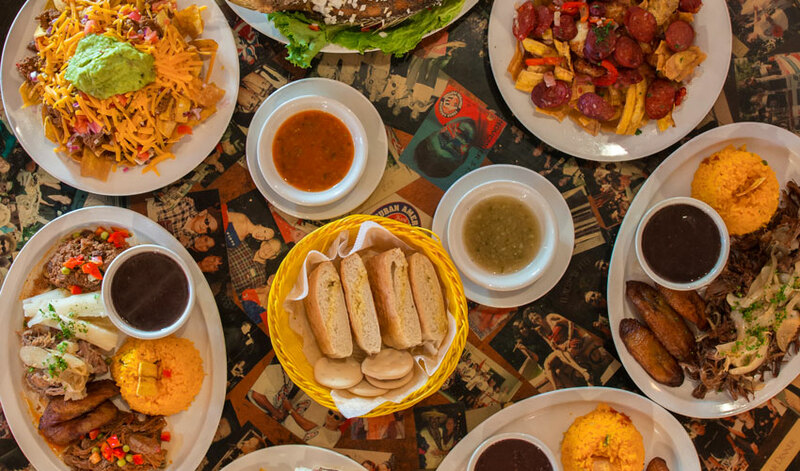 Whether it’s a café con leche with Cuban cheese toast for breakfast or a mojito at happy hour, Cuban food is engrained in the daily culture of island life. At El Meson de Pepe, Chef Pepe Diaz has been honoring the unique Cuban-Conch heritage through his food since 1985. To understand the roots, flavors and heritage of this delicious cuisine, read on for an explanation of some of the most popular ingredients and dishes on our menu. Like the origins of most native cuisine, ingredients are often determined by what’s abundant and available. In Cuba, rice and beans offer sustenance and comfort as a side dish to almost every meal. It’s typically prepared as black beans and white rice in hearty portions. Some dishes require other ingredients, like arroz con pollo or rice with chicken. Plantains are another Cuban staple. Similar in texture and taste to a banana, they can be prepared fried and salty, called tostones, or stewed and sweet. A popular starter is tostones rellenos, which are fried plantains stuffed with anything from garlic shrimp to spicy beef. Cuban cuisine also represents the melding pot of the island’s Spanish to African influences. This is no more apparent than in its sauces and spices. Mojo criollo is a popular sauce prepared with anything from chicken to pork, typically made with garlic, oil and sour orange juice. One of the most popular entrees in Cuban cuisine is ropa vieja. This stewed shredded beef dish is slow cooked in fresh tomatoes, onions, peppers, garlic and wine to create a mouthwatering meal. And following its origins, the dish is accompanied by white rice, black beans and sweet plantains. With both Cuba and Key West surrounded by the sea, it’s only natural that seafood is a staple of Cuban food here. Whether it’s a mahi-mahi filet marinated in Cuban criollo sauce or shrimp drowning in a garlic and wine sauce, fresh fish is definitely on the menu. For your reference when perusing menus, pescado means fish, camarones is shrimp and gambas refers to jumbo shrimp typically served in their shells. Talk about a true Cuban classic. 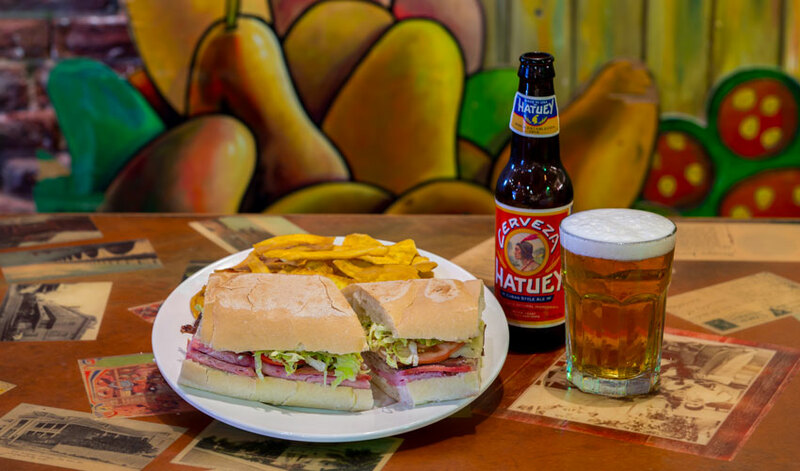 The Cuban mix sandwich is a staple of this cuisine. Made with roast pork, ham, Swiss cheese, pickles and mustard pressed on crispy Cuban bread, it’s a satisfying sandwich loved by many. The two most important ingredients of the Cuban sandwich are the pork, which is a staple of the Cuban diet, and the crusty Cuban bread. Similar to a French baguette, yet more light and fluffy, this style of bread is made with a small amount of lard for texture. If you haven’t tried Cuban coffee yet, you don’t know what you’re missing. This strong, sweet coffee is consumed with milk (con leche) or on its own as a bucci or colada. Made from the sugar cane that grows abundantly in Cuba, rum is a tradition deep seated in Cuban culture. 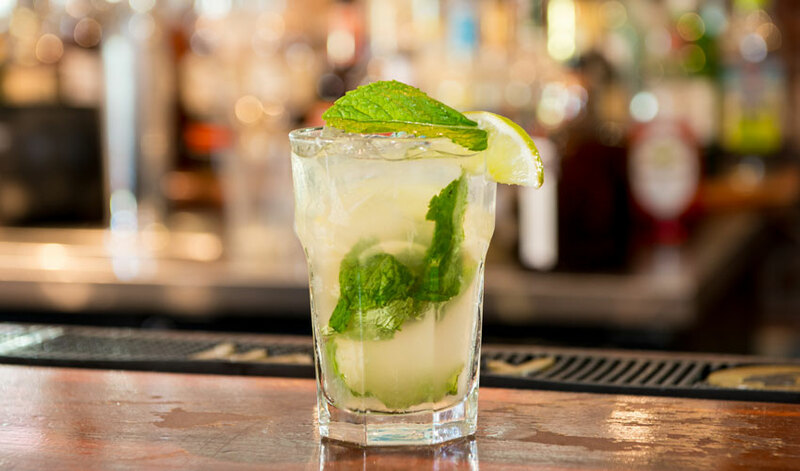 From mojitos prepared with muddled mint leaves and sugar to rum punch with a combination of tropical fruit juices and the daiquiris that Hemingway famously guzzled at the Floridita Bar in Havana, these libations are enjoyed in abundance in Key West today.